I'm crying everyone's tears and there inside our private war, I died the night before. And all of these remnants of joy and disaster. What am I suppose to do? I want to cook you a soup that warms your soul, but nothing would change, nothing would change at all. It's just a day that brings it all about - just another day and nothing's any good. The DJ's playing the same song. I have so much to do, I have to carry on. I wonder if this grief will ever let me go... I feel like I am the king of sorrow. I'm crying everyone's tears. I have already paid for all my future sins. There's nothing anyone can say to take this away. It's just another day and nothing's any good. lady knows her some pain! on another note, look at my awesome pants hemming job. and on even a more random note, the bartender on friday night was kind of surly. if i used a flash he probably would've punched me. Lucky! 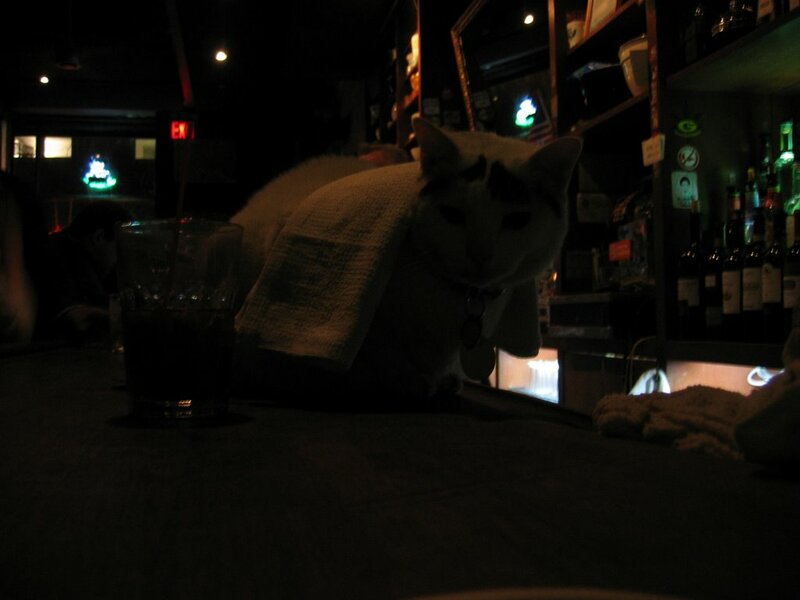 my bartenders are never that hot. 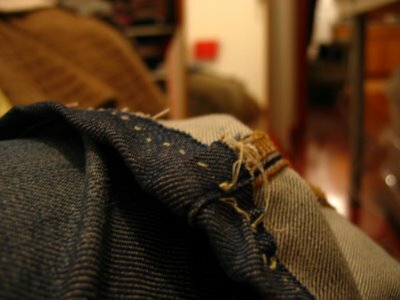 Did you use special machine needles to hem the jeans? I have broken a couple of needles working with denim. i did those one morning before work by hand. dumb. i should have used a machine bc they are really thin denim. unfortunately denim requires special bulky needles. I love that whole Sade (pronounced Shar-DAY, even though I can't stop saying Shah-DAY) album, especially that song. Kim, I had a dream about you last night. We were in some bar, like in some other country, and you were looking totally hot as usual, but you were really showing some skin. I was was with Nathan and Emily, and we three got kicked out of the bar for some reason, and you just took your drink and came with us. Cause that's your style. leland, thanks, you're the best. and the only other thing i might have done is pounded my drink and followed you.